The Library and Office of Research will once again be hosting the Emerging Practices Reading Circle for Spring Quarter. 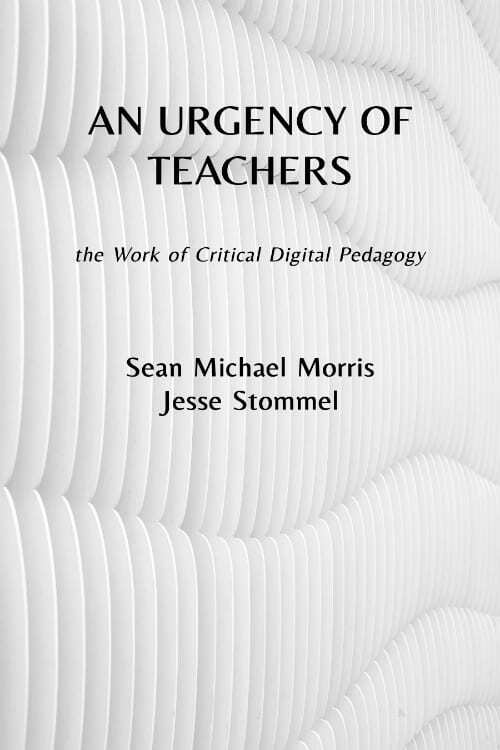 This time we’ll be discussing An Urgency of Teachers: the Work of Critical Digital Pedagogy. This book explores the use of critical and emerging pedagogies in online and hybrid learning environments, with much of the writing growing from the authors’ work in Hybrid Pedagogy. We hope to have 8-10 faculty and/or staff members from across the campus community join us to engage in open-ended discussions about teaching and learning with technology or in tech-mediated spaces. 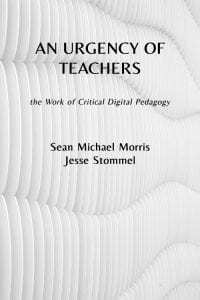 An Urgency of Teachers was published under a CC BY-NC 4.0 license and fully available online (linked above) for anyone who would like to read or preview it. A limited number of print copies will be provided to participants. Engaging with text and leading group discussions. Writing one blog post in response to discussions. 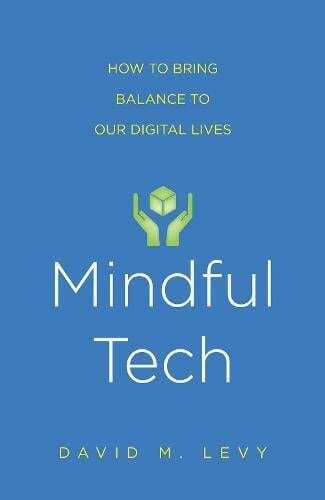 During Winter Quarter 2019, the Library and the Office of Research will be co-hosting an “Emerging Practices Reading Circle” in which we will discuss Mindful Tech: How to Bring Balance to Our Digital Lives by David Levy. This group is modeled on the previous reading groups. The Library will purchase a limited number of print copies of the book for participants. The group is open to faculty and staff, and we strive to have cross-campus representation and may cap the group to limited number of participants, depending on interest. The Library and Office of Research are hosting this reading group to foster an ongoing discussions on emerging forms of pedagogical and research practices. We will use the exercises outlined in Mindful Tech to encourage participants to reflect on the role of digital technologies in daily activities at the university. Engage in an open-ended exploration about the ways that digital technologies influence our work lives, recognizing that they often blend the professional and personal. Use mindfulness techniques to observe and gain insights into patterns of behavior and emotion responses to digital technologies, with an emphasis on email and social media. Experiment with mindfulness practices to adopt a new technology and/or alter current practices with a routinely used technology. Intentionally create an in-person and a virtual community on this blog in which participants share a reflection inspired by one of the exercises offered in Mindful Tech. …digital media technologies are changing the structure of the habits of being a scholar (Daniels & Thistlethwaite, 2016, p. 93). I have thoroughly enjoyed the ideas that eddied around me during our discussions, yet as I listened to this week’s discussion about the possible effect of digital technologies on publication practices or tenure and promotion, I was acutely aware my viewpoint within the dialogue was different than the rest of those at the table. I am not faculty considering how to include or increase my use of digital tools or technologies in my classroom—or wondering if my scholarly work will become somehow devalued in an increasingly digital world. Neither am I a librarian peering into the future of information embedded in digital practices, watching the cost of scholarly journals rise every year and wondering how to best help students gain access to technology, costly textbooks, or other course necessities that might be beyond their current technological expertise or financial means. From my position as a writing instructor in the TLC, I see some students struggle with learning unfamiliar technologies, and recognize the difficulties others face in completing assignments when they cannot afford course texts. I am daily aware of their unfamiliarity of some with academic practices that increasingly require a digital literacy beyond their understanding. The tools of the academy are changing, even if the work is not. Yet, in considering how to respond to the three chapters discussed this week, I realize I sit most comfortably in the position of student. I am here in this room to learn, to glean what I can from a discussion with those who understand a side of this topic with which I have little experience. But there is a viewpoint I do understand. As a current doctoral student, I am the scholar being trained in a digital era. I am the student who was just given a book list priced at nearly $300 for (used) books for one course. Yet, as that scholar-in-training, I also can’t help but wonder in what ways the acceptance and use of digital technologies will come to affect the scholarship of the future—including my own. Open access is, above all things, a moral and political decision (Jiménez et al., 2015, para. 2; cited in Daniels and Thistlethwaite, 2016, p. 79). 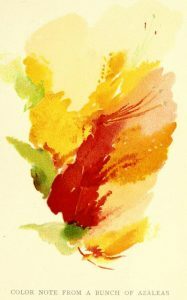 Through both my positions—student and staff—I have become a firm believer in the power of open access and digital technologies to spread the influence of the academy: its scholarship reaching out from behind ivy-covered walls and extending knowledge toward those who have long been kept at a distance, whether because of a paywall or a lack of accessible language. I believe that making the work of scholars available to a larger public sphere is, quite simply, a matter of social justice—a “human right,” if you will. And I agree with authors Jessie Daniels and Polly Thistlethwaite (2016) as they remind us: there is nothing important that cannot [somehow] be made interesting to a more “general reader” (p. 97). You never know who will benefit from your work. The only way to find out is to make it accessible (“Interview” with Sarah Kendizor in Tadween Editors, 2013; cited in Daniels & Thistlethwaite, 2016, p. 63). Although the shift to digital scholarship may be slow in coming, it is coming. Faculty across this campus—and many others—are already a part of the change, whether through teaching digital storytelling techniques, using digital tools in teaching, or creating digital portfolios and projects with their students. Many are already including ebooks or open access materials in their course syllabi and have long taught their students the value of moving beyond a simple Google search to recognizing scholarly sources, such as journals or databases housed in the library and available 24/7. They might even be encouraging their students to submit their work to open-access journals like Access: Interdisciplinary Journal of Student Research and Scholarship with its 1500+ downloads of 16 student papers—in just over a year. Access, housed in the UW Tacoma Digital Commons and networked throughout other commons sites across the web and around the world, was created to expand the reach of students’ scholarly work. I’m admittedly proud of Access’ reach, but an even better example of the scope of open-access sites like Digital Commons can be seen in a single paper: “Corporate Social Responsibility of Multinational Corporations” (Chan, 2014), UW Tacoma’s most popular paper, downloaded more than 31,000 times around the globe in just over three years. Digital media technologies provide a tremendous opportunity for the scholarship of engagement (Daniels & Thistlethwaite, 2016, p. 106). Still, the opportunity is in our hands to discover just where the road into digital scholarship might lead. Jimenez, A.C., Boyer, D., Hartigan, J., & de la Cadena, M. (2015). Open access: A collective ecology for AAA publishing in the digital age – Cultural Anthropology [website]. Retrieved from www.culanth.org/fieldsights/684-open-acess-a-collective-ecology-for-aaaq-publishing-in-the-digital-age. 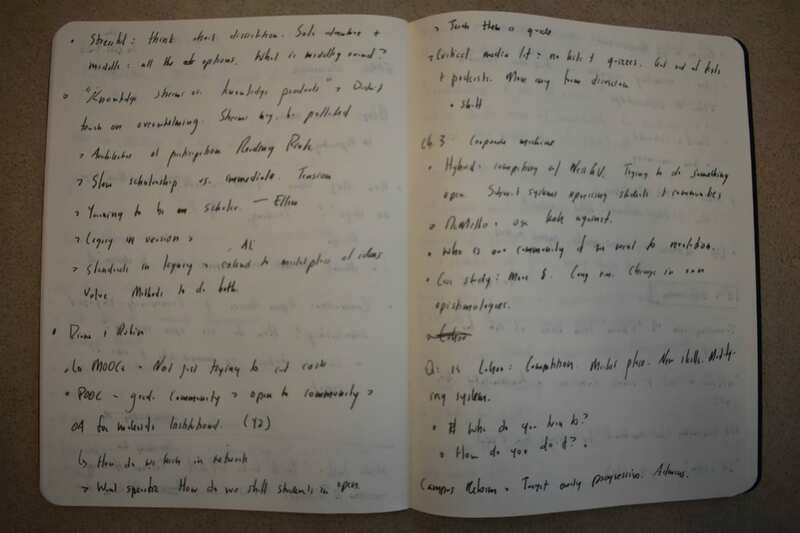 On Keeping a DS Notebook: Digital Craft and the Structure of Scholarly Habits. Photo taken while waiting for everyone to arrive to first meeting. 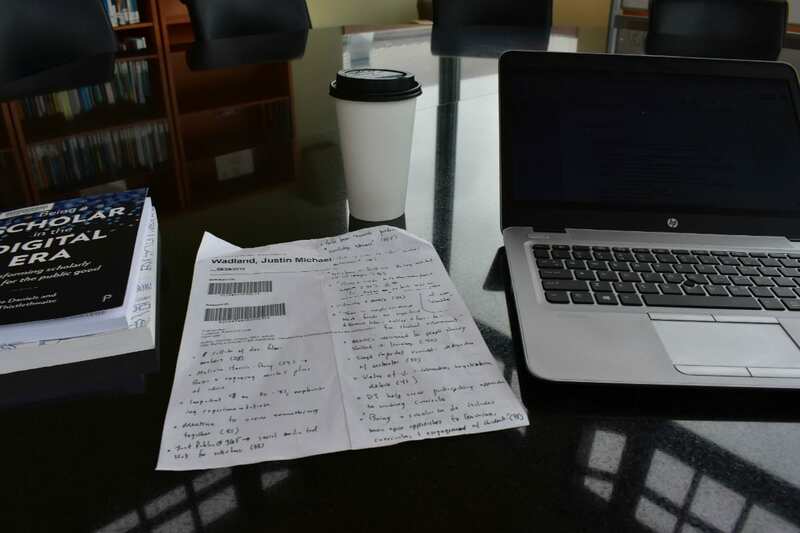 The paper in the center shows my rough notes on the book, taken on a library hold slip. We held our first discussion of Being a Scholar in a Digital Era by Jessie Daniels and Polly Thistlethwaite on October 8, 2018. This was at the beginning the quarter, and I’m just now catching up on the notes I took during that meeting. We met in the Chihuly Room, so named for the Chinook Red Chandelier by Dale Chihuly that hangs there, and the space soon filled up with faculty and librarians. All ten seats at the table were taken, and we had to pull in chairs from downstairs. People also took some of the comfortable chairs around the room. I forgot to count how many people were present, but I estimate about eighteen because we had some drop-in participants. 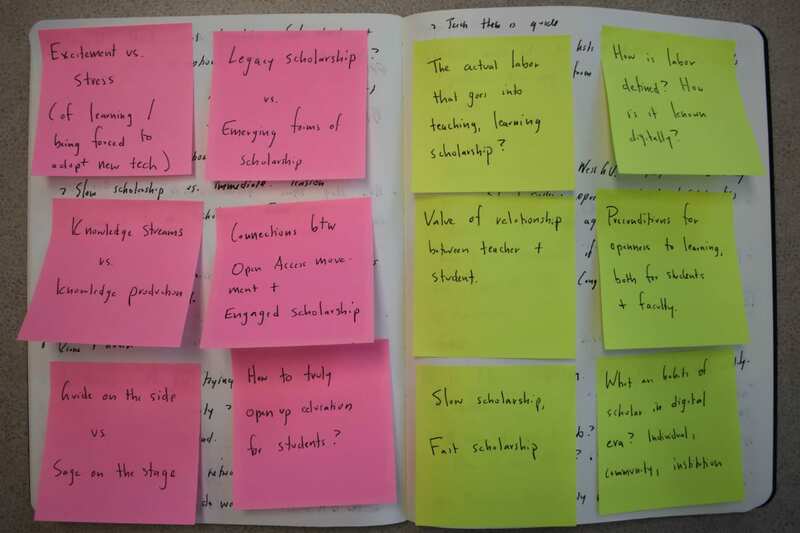 To start the conversation, I closed my computer and opened a notebook I started earlier this year to track conversations I’m having around digital scholarship. It was a wild ride once we started talking about the first three chapters of Being a Scholar in a Digital Era. Two people had signed up for each chapter, and I asked each person to provide a brief response and pose one question to the group. My intention was to do a kind of round robin or survey of people’s responses, but there was such energy around certain topics that people couldn’t keep from responding the questions. How does one transition from being a “sage on the stage to a guide on the side”? How do we effectively teach in a networked environment? How do we effectively shift to open models? What is the actual labor that goes into teach, learning, and scholarship? How do we account for the disruptions, blurring of boundaries, and expansion of labor that technology of creates? 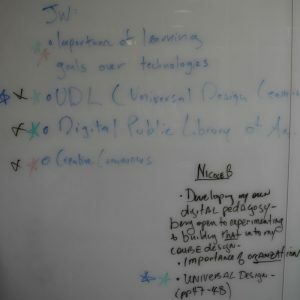 I show these notes because they are evidence of one approaches I bring to the “craft” of digital scholarship. As a member of Generation X, my life and education has straddled analog and digital worlds, and this background has informed many of the practices I use to navigate and understand digital scholarship. Perhaps this is why I was so drawn to the discussion of the “craft” of digital scholarship mentioned in Being a Scholar in a Digital Era. Levy’s book then investigates how personal practice shapes our digital identities (whether personal or professional) and offers a series of activities that enable readers to develop their own sense of digital craft. I don’t have space to explore his ideas thoroughly, but I am realizing that one of the core ways that I have cultivated my own sense “digital craft” has been to deliberately blend it with the analog. I often seek out and create spaces for reflection away from the screen and humming hard drive so that I might recognize more awareness along the dimensions Levy develops. One of these is with a notebook. These observations are all highly personal, but so are habits–or practices. Taking this a step further, I see my role as an educator-librarian is to also encourage and support the digital craft of others. Yet, how do I do this in a meaningful way? This book group is one example. A few days ago, I took what I’ve heard and tried to distill it. 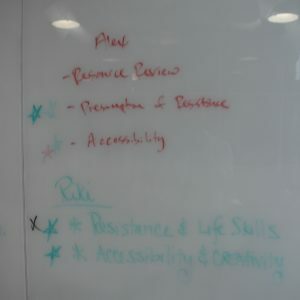 On the left are themes (pink), and on the right issues of practice (yellow). Go to e-version of this book in the UW Libraries. During Autumn Quarter 2018, the Library and the Office of Research will be co-hosting an “Emerging Practices Reading Circle” in which we will discuss Being a Scholar in the Digital Era: Transforming Scholarly Practice for the Public Good by Jessie Daniels and Polly Thistlethwaite. This group is modeled on the successful reading group that the Library hosted as a trial last spring and documented on this blog. Over the coming academic year, we plan to continue to host quarterly reading groups on texts or books of interest to the UW Tacoma academic community. The Library will purchase a limited number of print copies of the book for participants. The group is open to faculty and staff, and we strive to have cross-campus representation and may cap the group to ten participants, depending on interest. Share and investigate scholarly practices in response to readings and overall exploration of digital and publicly-engaged scholarship. Identify useful resources from the book and the wider community of practice. (Re)imagine approaches to community- or publicly-engaged scholarship. Assess faculty needs for training, development opportunities, and infrastructure support for digital scholarship that engages with the public. Seek collaborative opportunities to develop internal and external support communities. Attending the monthly lunch hour book discussions in October, November, and December. With our last meeting coinciding with the wind-down of the Spring Quarter, we had a pretty light turn-out for the discussion of the final chapters of Using Digital Humanities in the Classroom by Battershill and Ross. Yet among the six people in attendance, we had a good mix of faculty and library staff and managed to fill up the hour and half with conversation. 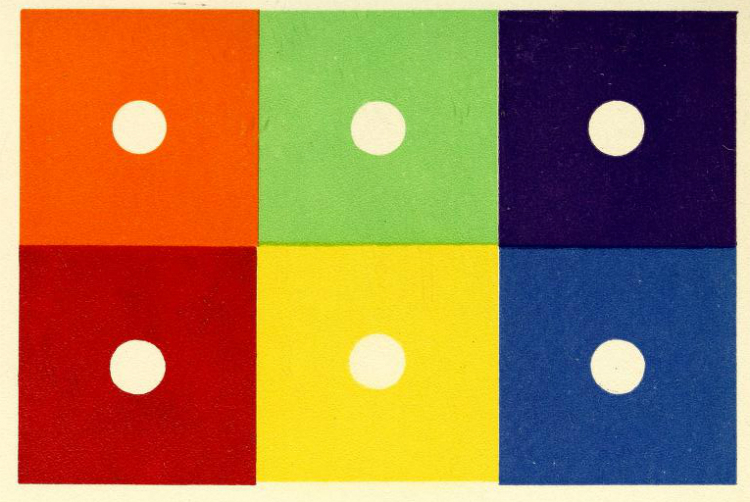 As I was looking for images to accompany this post, I was drawn particularly to the color analyses charts of Emily Noyes Vanderpoel, which I found in the Public Domain Review. These charts and studies seemed appropriate because our conversation revealed a spectrum of responses to topics discussed. Sometimes the discussion formed clear pictures of opportunities and positions, other times they were suggestive, shaded by our own views or experiences. Toward the end, some ideas began to take shape for me of possible futures, but we didn’t have time to explore them in detail. Later this month, I intend to write a blog post that will offer a few possible scenarios, and then we’ll hold a Zoom meeting with the participants to explore what resonates most. Social media platforms: Facebook, Twitter, Academia.edu, etc. Lucidchart – An online diagram application that makes it easier to sketch and share flowchart diagrams. Scanner Pro – An iPhone app that enables quick scan and organization of texts. Zotero – A useful tool for organizing, sharing, and citing sources. As the Masters of Arts in Interdisciplinary Studies (MAIS) Graduate Program Director, Riki was particularly drawn to this chapter. She noticed right away that the chapter assumes that grad students will be entering academia, and yet most of the MAIS students she works with are getting a terminal degree. Some of the observations about the professionalization of academics did not seem relevant. What did seem applicable was that digital scholarship approaches open up career opportunities outside of academia. Effective, critical, and professional uses of communication and digital technologies seemed the most obvious skills most transferable to the workplace. The question of risk came up again too. The conversation on p. 156 of Battershill and Ross1 resonated with the group because it highlights the tensions and contradictions of graduate level digital projects. 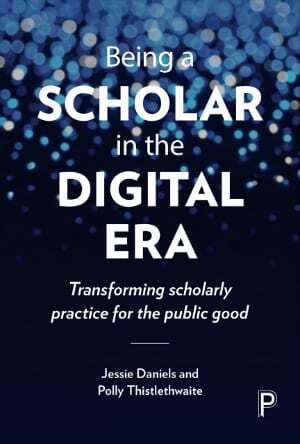 We are all “digitally assisted scholars,” Riki pointed out, but when initiating a new project, it can be extraordinarily difficult to calculate the amount of time that must be devoted to it. Students considering innovative uses of technology may need additional support. Right now, because there isn’t a central place to conceive of such projects, faculty advisers likely bear the brunt of this work. 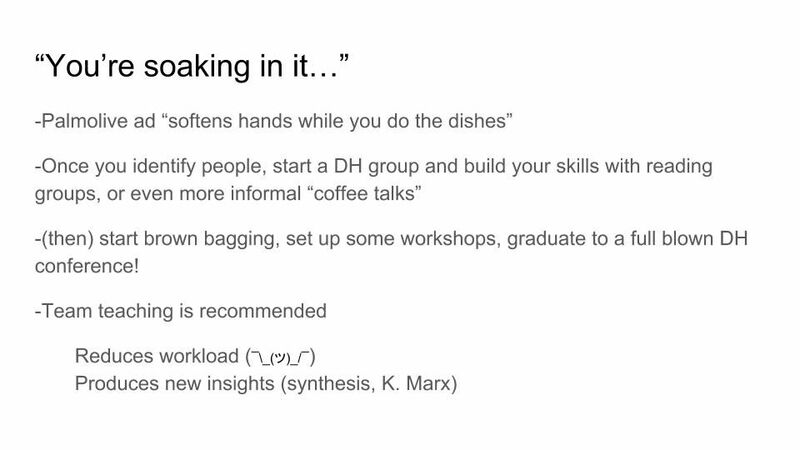 Slide from Tim Bostelle’s presentation, offering suggestion for encouraging DH. As the Head, Library Information Technology, he also modeled some of the approaches suggested in the book. He searched the UW Tacoma website to find other departments and colleagues on campus that might be collaborators in DS groups and activities. The Center Business Analytics in the Milgard School of Business, the Institute of Technology, the Office of Research, and Nursing all came up in his searches for faculty using digital tools in their scholarship and research. We also discussed the Student Technology Fee Committee, which distributes funds for technology resources that serve students. Having led the Library’s application process for many years, Tim has gained a lot of experience going through the STF application process. He would be open to partnering with faculty members to put together proposals for rounds in the future. Because I wanted to learn more about this area, I led this discussion, focusing my conversation around the use of social media. Doing a quick poll among the participants, we discovered the variety of social media platforms we use, with Facebook and Twitter being the most popular. The uses ranged from professional to completely personal and private or a mixture of something in between. Some avoided social media because of information overload or it seems like a waste of time. Others recognized that social media, Twitter in particular, can be “insanely useful” (direct quote) if you follow the right people. Some of those who use Twitter mentioned that they have UW Tacoma “Twitter buddies” that they engage with, but it is not necessarily embraced across campus as a platform for communication and information sharing. Some observed that when used as tool for professional communication, Twitter does seem to favor public, formal conversations, but others recognized the risks of such platforms. Battershill and Ross in their chapter provide a lot of useful tips for promoting scholarship with social media and connecting to other scholars. Also, Joanne’s overview referred extensively to the book’s web companion, highlighting specifically “DH Tools and Tips for Conducting Research” as particularly helpful. Another important point: establishing ethical collaborative relationships among the participants of projects, especially when they involve students. The DH community has articulated these principles in a Collaborators’ Bill of Rights, but institutions have adopted them as well. 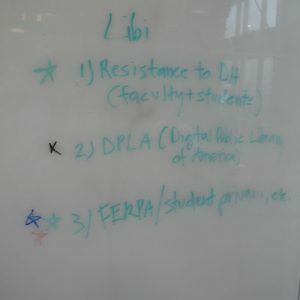 UCLA’s Student Collaborators’ Bill of Rights is one example. 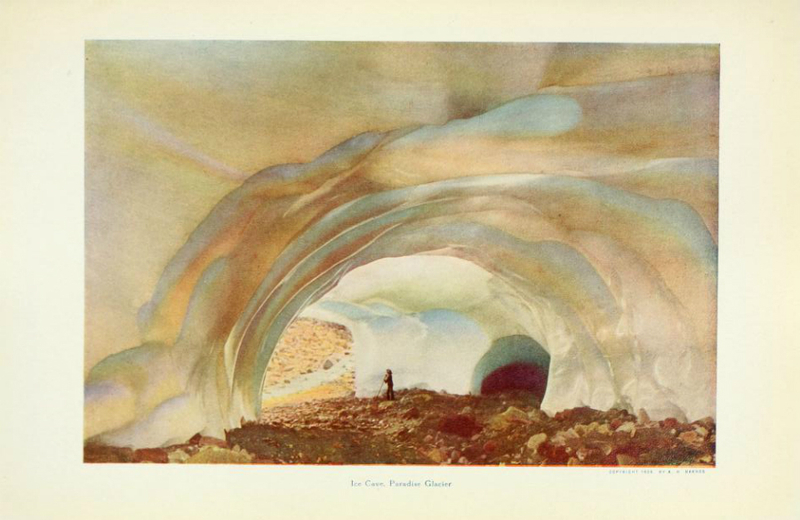 “Ice Cave, Paradise Glacier,” from page 79 of “The Mountain that Was God” by John Harvey Williams. Ever since I first saw them, the strange, disorienting photographs of tourists and climbers venturing into ice tunnels on Tahoma (aka Mt. Rainier) have always appealed to me, and I include one here because it seems a good a place as any to begin this summary of our exploration of the practical aspects of integrating digital humanities practices in the classroom at UW Tacoma. PowerPoint (and slide presentation software, in general) – Mentioned mostly in a critical way as the default form of presenting information. 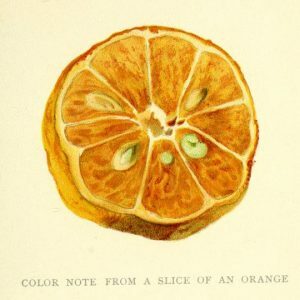 Tumblr – An alternative form for sharing class information, one faculty used it at other intitution. Google Books Ngram Viewer – Mines texts in Google books to show the instances of certain words. Voyant – A text visualization software program that allows visualizing and analyzing text. Juxta – Software program that enables comparison multiple versions of text. Expanding on the use of tools, I wanted to show what it can look like when you take text and put into Voyant. For this sample, I used a public domain text called The Mountain that was God by John William Harvey1. Showing the text analysis of of “The Mountain that Was God.” Click image to view full analysis in Voyant. OK, let’s get to business. We met in April to discuss chapters 4-8 of “Using Digital Humanities in the Classroom” by Battershill and Ross. This section of the book presents a kind of “life cycle” overview of how digital humanities might be incorporated into the classroom, demonstrating how instructors can structure their courses around engagement with digital technologies and resources. In the summaries below, I pull key points raised during the conversation. Other technologies seem to enable collaboration and do not limit the ways students might interact with it. For instance, in the past Randy has used Tumblr for his classes. This raised questions about how technology might inadvertently shape learning objectives, rather than be the source of students interactions with technology, as Battershill and Ross suggest. Instructors’ time and comfort level with new technologies can influence their adoption. It seems that one way around these issues might be to approach the development of learning objectives as an iterative process that developed in relationship to technology. Another important strand of our conversation touched on setting clear expectations about online behavior. Libi was really engaged with this chapter and offered a tour of the tools that it exposed her to. In her slides, she investigates the tools that seemed relevant to her. Generally, she favored tools that are easy and don’t take a lot time to figure out. As a historian, she seemed to prefer tools that analyze differences in texts. She did ask some questions about how she would engage students with the tools beyond just looking at them. Since visiting archives and libraries and exposing students to primary sources is a key part of her work, she has also found virtual tours of collections to be useful and has done this with the Tacoma Historical Society. Rebecca felt that this chapter was mistitled and thought it should be called “Troubleshooting Technology.” The solution could be summed up with a single word: “practice,” so that you can avoid most of the typical problems. Many in the group generally felt the most helpful suggestions were to design the course into module units that could be adjusted if needed. A key point that resonated: Battershill and Ross emphasize that total technological failure can turn into a valuable teaching moment. Mention of the Inspiration Lab at Vancouver Public Library was of particular interest. It is space with a variety of technologies and digital tools that enable visitors to create new works. A group on campus is looking at developing maker/tinkerspace, as well as a Learning Commons. We recognized that a space where faculty could practice and receive support would be welcome on campus. Right now, this happens in a variety of places and tends to be scoped to particular technologies. Require short reflection papers for graded work that use new digital skills. Limit your students to one new tool or platform per assignment. Be flexible: adapt to student needs but have a clear rubric and set of expectations. Alex presented this chapter; he found it to be consistent with the rest of the book in the ways that offered methods of encouraging experimentation by student and incorporating the possibility of failure into assignments. 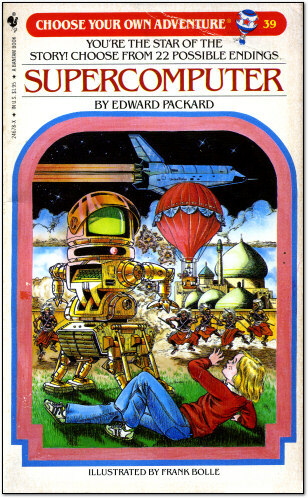 He felt that a key point was to move beyond “being good with computers” or achieving mastery. Measuring progress and competency seem like better measures. Drawing from his experience, as well as the reading, the group felt that getting students involved in the evaluation and partnering with them to create rubrics can set these expectations. Other options are to offer classes pass/fail and using in-take surveys to evaluate the students. How do you evaluate risk and effort? How do you encourage and assess risk? This months discussion will examine the life cycle of student learning experiences that engage with Digital Humanities practices. What was one of the main takeaways you’d like to share with the group? What questions you would like to discuss with the group? Discussion of questions/points raised during round robin. White board activity: What is one thing you’ll do different as a result of the reading? If time permits, considering question: What does design process for syllabi and/or assignments look like? How best to incorporate these practices? Let me begin with a confession (or maybe an apology): I don’t take notes in the ways we’re doing for this discussion group. I don’t share slides or my notes in my classes, so I’m well-out of my comfort zone. And I think it is worth trying a different path through just for the sake of comparison, so here we are. Based on that, one of the things I think might actually make for some interesting starter discussion as we move into the topics for this set of readings is about taking a sort of inventory about where you have particular preferences/tendencies/what-have-you about boundaries as you’re starting to think about delving into this? There’s also a rhetorical shift that happens in Chapter 4 that I’m still deciding about – it’s most pronounced in Table 4.2, in that the assumption seems to be that even in non-Intro to Digital Humanities (hereafter, DH) courses, that you’d have readings, etc that are explicitly about DH. I’ve been thinking of DH as tools to use rather than as a topic to foreground, so I’m curious what everyone else thinks. This post was wordy. It needed a picture. One of the biggest issues of the chapter is about what digital platform you’re going to use to actually structure your DH experiment. The chapter poses this largely as a question of whether you want to host your own site or use some existing platform (which, for our purposes includes UW’s choice of course management software, Canvas). This section was a pretty quick fly-by, but there are some issues worth pulling out because the platform you choose is carries with it a range of issues. A lot of these issues are going to connect to the discussions for Chapters 5, 6, and 7.
what features do you need your site to have? how much intellectual property of your own are you willing to make publicly available? how much of your students’ intellectual property is going to be visible (and why)? what types of content do you intend to share that isn’t your own? how much time do you have to maintain the site? how often are you going to get to use it? While there’s some advantage to owning your own site, hosting and domain names can cost you money. Using a content management platform (like WordPress) can you get around some of this, but might require some forethought before diving in. For example, if students are going to contribute but you’ll use the site in multiple terms, how easy will it be control access to what new students get to engage with? And in case having an example beyond this blog to consider, here’s a site I used through the content management system Tumblr from my previous life. Table 4.1 provides a useful breakdown of some other platforms you might consider. I know why I used Tumblr, but does anyone have any other strong opinions or recommendations on platforms they’ve used? Wasn’t this chapter supposed to be about syllabi? The discussion about syllabi focused on two broad issues: Course Information and Objectives and Course Policies. 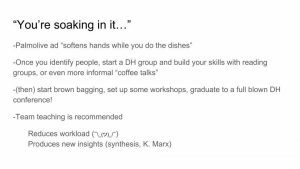 Depending on how much DH you intend to use, you’re going to have to think carefully about your syllabus and how you want to approach the class. That might include thinking differently about office hours, deadlines, etc. All of those things need to be telegraphed by the syllabus. I’ve found myself wondering as we’re talking about DH whether a DH class should have to be connected to the iTech Fellows program here at UWT. Even if it shouldn’t, I think the rubric the program uses to assess iTech fellows preparation is useful for our DH purposes. Depending upon how much DH you intend to incorporate into your class, how you design the course and its syllabus will likely change. Table 4.2 breaks down some of the possibilities for this. Regardless, there are some specific points that are worth considering in both of these sections. Course description: what skills do they need to start and what skills should they end with? How will you gauge attendance and participation? How are students expected to use technologies and when? How will deadlines work (taking into account that students are likely learning a new skill)? Are there particular behavioral expectations? What is the process for getting help with technologies and where can they get that help? I was surprised there wasn’t much discussion about behavioral expectations (for example, rules for online discussions groups, etc). Were there other issues that got missed? Fold.cm – An alternative to PowerPoint, students are able to use this make multimedia presentations. StoryMapJS – An easy to use tool for creating interactive maps. The conversation gained momentum around the book’s “Presumption of resistance” and went on to explore a number of related topics. Initially, several in the group critiqued the the way that Chapter 1 assumed varying kinds of resistance to digital humanities techniques. Generally, the faculty members present felt supported in their experiments with DH practices and that students were generally receptive to these approaches. Universal Design: There was an overwhelming interest in UD, but many present felt that they would need additional training and support to integrate this. Digital Public Library of America: Many were drawn to this as a resource and would like to investigate how to better integrate into courses. 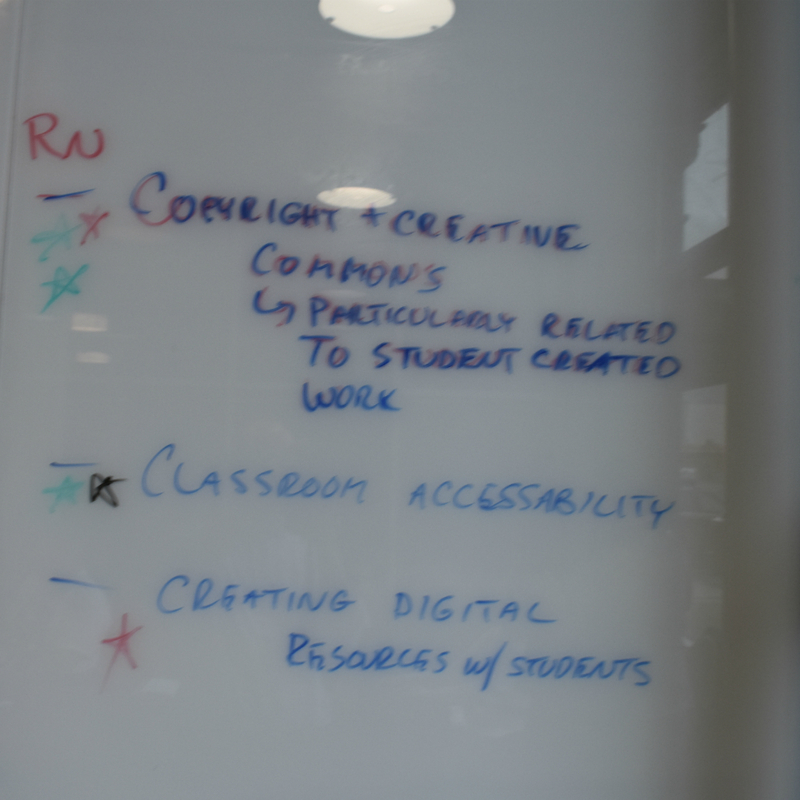 Thinking through implications of publicly-shared student work: Many classes that are creating alternative assignments are producing work that worthy of sharing with a wider audience, but several questions about permissions, student privacy, and digital repository structure remain. Creative Commons and copyright in general: Working in the digital environment raises a host of copyright questions, and many wanted to learn more about how to navigate these questions.